Todas as informações em uma única imagem! 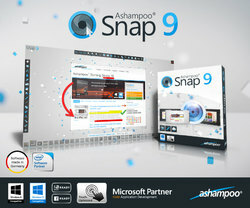 Ashampoo Snap 9 é o ideal de imagem e solução de gravação de vídeo para o seu PC. Captura qualquer coisa que você veja na tela como imagens ou vídeos e adicionar informações adicionais, por exemplo, textos ou setas. Uma imagem vale mais do que mil palavras " - se é bem feito! O uso integrado de reconhecimento de texto para copiar páginas inteiras de texto ou compartilhar as suas imagens processadas com amigos e família. Se você precisa de explicar, documento ou simplesmente demonstrar Snap - 9 é sempre a melhor escolha! I use since many years Wisdom-soft screen hunter, for images. 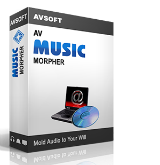 Simple, intuitive and free. $39.99? Yeah, right. ShareX is free, newer, and arguably does more. (There are others, too, like LightShot.) Plus it has 80+ destinations, meaning...you can take a shot and have it immediately save itself to a Google Drive or Dropbox folder in the cloud. Why on Earth can't GOTD find quality new software anymore? The funniest thing about all of this? This is version 9 and it says $39.99, but the new version 10 is $20.00 for a limited time. No wonder this one is free. Poor marketing on ashampoo's part. I have almost totally given up on GOTD being relevant ever again. $39.99? Yeah, right. ShareX is free, newer, and arguably does more. (There are others, too, like LightShot.) Plus it has 80+ destinations, meaning...you can take a shot and have it immediately save itself to a Google Drive or Dropbox folder in the cloud. Why on Earth can't GOTD find quality new software anymore? The funniest thing about all of this? This is version 9 and it says $39.99, but the new version 10 is $20.00 for a limited time. No wonder this one is free. Poor marketing on ashampoo's part. I have almost totally given up on GOTD being relevant ever again. 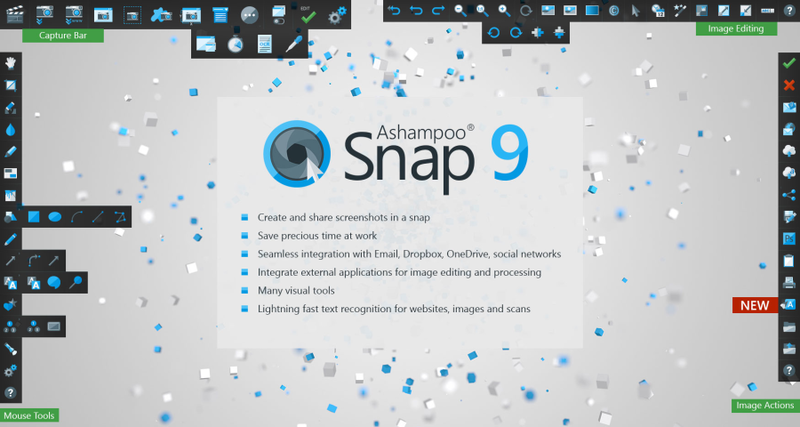 Teller Ugis, I have Ashampoo Snap 2018 and am extremely happy with it and it's features. How about trying software first before slamming it! Yes, I am expecting down votes for slamming Mr. Popular here so have at me. 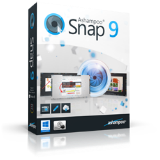 Teller Ugis, I have Ashampoo Snap 2018 and am extremely happy with it and it's features. How about trying software first before slamming it! Yes, I am expecting down votes for slamming Mr. Popular here so have at me. I'll try this new version of Ashampoo Snap, once more. Up to now, I've never been able to find one that worked intuitively as advertised. I kept downloading more and more offers for free Ashampoo Snap's versions, here and there, but I never got to use it regularly. Right now, my favorite screen grabber is Pic Pick (free version). It does much less than Ashampoo Snap on paper, but it does it very well. In theory, Ashampoo is much more powerful, but I've never found how to use the extra features that do interest me : save a screenshot of a whole web page, including the invisible parts, or make a screenshot of a drop-down menu. Never mind video grabbing. Also, the interface purports to be easy, but in reality it's overwhelming. 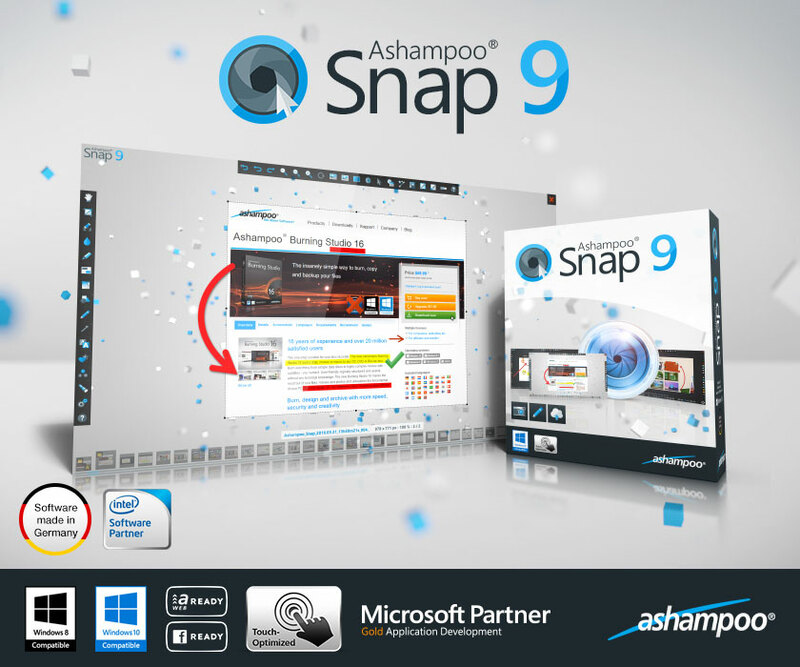 I'll try this new version of Ashampoo Snap, once more. Up to now, I've never been able to find one that worked intuitively as advertised. I kept downloading more and more offers for free Ashampoo Snap's versions, here and there, but I never got to use it regularly. Right now, my favorite screen grabber is Pic Pick (free version). It does much less than Ashampoo Snap on paper, but it does it very well. 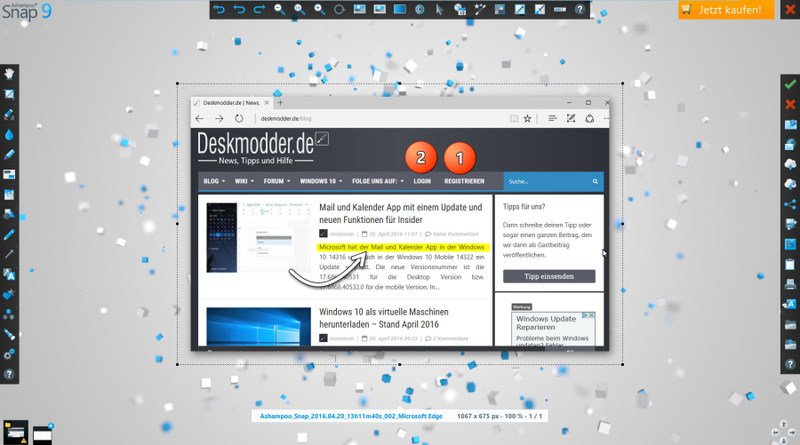 In theory, Ashampoo is much more powerful, but I've never found how to use the extra features that do interest me : save a screenshot of a whole web page, including the invisible parts, or make a screenshot of a drop-down menu. Never mind video grabbing. Also, the interface purports to be easy, but in reality it's overwhelming. I confirm : stupid interface. 1. Starting from the System Tray, I need to look in the middle of a huge list of features to find the command I want, Capture Region. It should be very near the top. It certainly should not come after Capture Scrolling, which is an advanced feature. 2. Then I can't activate this right away, because there's a cascading menu offering me other options, that I will never use. Apart from the most obvious : Capture Free Rectangle Region (what complicated language !). That's 4 clicks, just to activate that very basic screen grab. 3. The other options, I don't even understand what they do. What's a Custom Region ? How is Custom different from Free ? 4. Now, OK, I drag the friggin' "region" I need to snap. The "region" is isolated in a dark background. And then ? What do I do ? No hints. No indications. Nothing. I right-click on the "region". The "region" disappears. I have to start all over again. This time, I correctly guess I have to click on the "region". Can't you write on the blasted screen : click to copy, or something like that ? Most other screen grabbers do that. 5. OK. Now, the screenshot opens in the editor. And then ? What am I supposed to do ? There are a hundred icons all around, none of them intuitive. 6. I want to draw a border around my screen grab, because, you know, it's white. So if I paste it on a white background = no good. Absolutely basic requirement. I click on the Apply Border icon. It doesn't apply a border. It opens a menu, with bizarre options I can't understand. OK, suppose I keep the defaults. How do I get out of this ? How do I "apply border" ? There's one button, and it says "Close". I don't want to close, I want to apply border. So I close, because that's the only way out. 8. Then what am I supposed to do ? This friggin' editor window is occupying the whole screen. I can't minimise it or toss it to the side. There's no standard Windows buttons on the top right of the windows, because I suppose you're smarter than everybody. So I try to close it by clicking on the huge red x. 9. Now you're asking me whether I want to save all changes or discard all changes in opened files. I don't know. What opened files? I didn't open any files. Why are you interfering with my work ? For the time being, I just want to paste the bloody screenshot in a bloody document to make sure I got it right, and make sure you put the bloody border around it. 10. So I click either of the two buttons, Yes or No, and I don't see any difference in what happens next. 11. Then finally, I can paste the screenshot in my document, and... no, there's no "applied border" there. I order to reproduce these steps and write about them, I have had to redo them from the start for each single step, because the editor window doesn't stay up there, like a standard Windows window. You can't leave it in the background, and come back to it later. It just goes away. Absolutely terrible interface and workflow. Window 7 Snipping Tool is way better than this, for Chrissake. It does all of the above in a completely intuitive way. Why can't you build upon your ancestors, and do something better, instead of destroying everything they did, and build up an unusable monster because "features" and "power" ? What power ? There's no power in it if it's unusable. I confirm : stupid interface. 1. Starting from the System Tray, I need to look in the middle of a huge list of features to find the command I want, Capture Region. It should be very near the top. It certainly should not come after Capture Scrolling, which is an advanced feature. 2. Then I can't activate this right away, because there's a cascading menu offering me other options, that I will never use. Apart from the most obvious : Capture Free Rectangle Region (what complicated language !). That's 4 clicks, just to activate that very basic screen grab. 3. The other options, I don't even understand what they do. What's a Custom Region ? How is Custom different from Free ? 4. Now, OK, I drag the friggin' "region" I need to snap. The "region" is isolated in a dark background. And then ? What do I do ? No hints. No indications. Nothing. I right-click on the "region". The "region" disappears. I have to start all over again. This time, I correctly guess I have to click on the "region". Can't you write on the blasted screen : click to copy, or something like that ? Most other screen grabbers do that. 5. OK. Now, the screenshot opens in the editor. And then ? What am I supposed to do ? There are a hundred icons all around, none of them intuitive. 6. I want to draw a border around my screen grab, because, you know, it's white. So if I paste it on a white background = no good. Absolutely basic requirement. I click on the Apply Border icon. It doesn't apply a border. It opens a menu, with bizarre options I can't understand. OK, suppose I keep the defaults. How do I get out of this ? How do I "apply border" ? There's one button, and it says "Close". I don't want to close, I want to apply border. So I close, because that's the only way out. 7. There's no way to know whether the border has, indeed, been applied. Now I want to do something very complex, you see, and paste this screen grab in a document of mine. So I right-click on the image, and fortunately, there's a Copy to clipboard option there. (But if I point on other parts of the screen grab, there is another context menu, without Copy, but with totally obscure commands.) 8. Then what am I supposed to do ? This friggin' editor window is occupying the whole screen. I can't minimise it or toss it to the side. There's no standard Windows buttons on the top right of the windows, because I suppose you're smarter than everybody. So I try to close it by clicking on the huge red x. 9. Now you're asking me whether I want to save all changes or discard all changes in opened files. I don't know. What opened files? I didn't open any files. Why are you interfering with my work ? For the time being, I just want to paste the bloody screenshot in a bloody document to make sure I got it right, and make sure you put the bloody border around it. 10. So I click either of the two buttons, Yes or No, and I don't see any difference in what happens next. 11. Then finally, I can paste the screenshot in my document, and... no, there's no "applied border" there. I order to reproduce these steps and write about them, I have had to redo them from the start for each single step, because the editor window doesn't stay up there, like a standard Windows window. You can't leave it in the background, and come back to it later. It just goes away. Absolutely terrible interface and workflow. Window 7 Snipping Tool is way better than this, for Chrissake. It does all of the above in a completely intuitive way. Why can't you build upon your ancestors, and do something better, instead of destroying everything they did, and build up an unusable monster because "features" and "power" ? What power ? There's no power in it if it's unusable.